To all of our FrightTown fans, family, friends & fiends, It is with a heavy heart (that is still beating in a jar on our desk) that we must inform you that there will be no FrightTown this year, and we will not be returning to the Memorial Coliseum at the Rose Quarter. For the last 13 wonderful years, it has been our privilege to haunt so many of you from Oregon, Washington and parts unknown, and it is our hope that Baron Von Goolo and all his minions and monsters will be back to do so again, somewhere, someday. If you would like to know about our future plans and announcements, please stay in touch by liking our Facebook Page or by sending us an Email Us email and we’ll notify you when things start to happen. 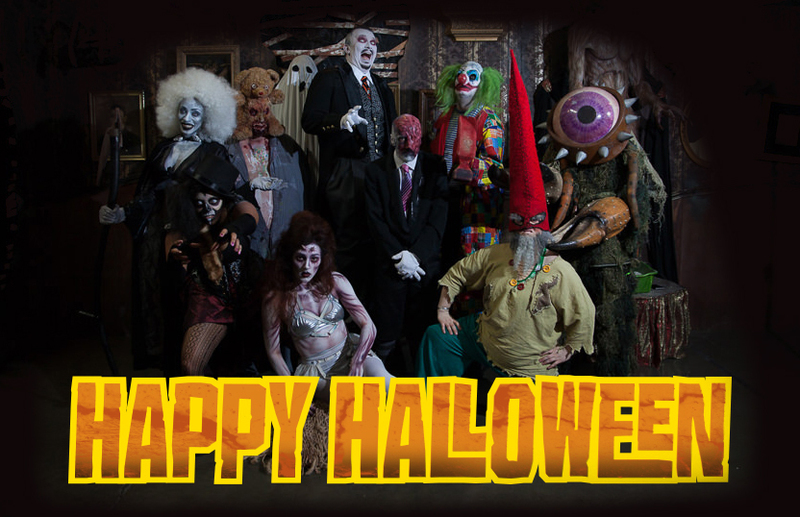 And we hope you’ll stay in the Halloween spirit by visiting some of the other haunted attractions in our area. The 13th Door is now the longest running haunt around and they put on an excellent show. Thank you again for being fans of FrightTown. And until next time, Happy Halloween!